I’ll probably be wearing these at World Fantasy Con in San Diego, later this month. 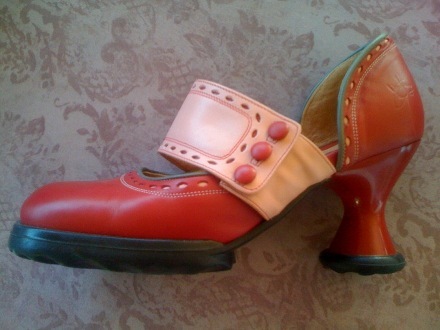 Handmade in Portugal, these shoes by a designer with a sense of whimsy are also comfortable! I covered the Javitts Conference floor at BEA in them. He also stands behind them, making repairs for life.